Both parties have strategies for assuring victory in this case. The Democrat method is to triangulate their promises to the right in an effort to appeal to republicans that would rather drive the train to Auschwitz then run the gas chamber. The Republican method is voter suppression. It appears they have removed just the right amount of people from the rolls in just the right places in Nevada. Nevada Secretary of State Barbara Cegavska is also the former Nevada State leader for the American Legislative Exchange Council (ALEC). ALEC has been at the forefront of pushing model legislation on voter ID around the country but especially in red states. She quietly shaved at least 90,000 people off the voter rolls at the last minute in Reno and Las Vegas alone. Crosscheck was written and marketed by Trump adviser and Kansas Secretary of State Kris Kobach. Kobach is part of Mike Pence's commission on voter integrity, which is a national committee on the virtually non-existent problem of voter fraud and is widely seen as part of a national effort to reduce minority participation in elections through voter suppression. Kobach worked with ALEC on model voter ID legislation and on Arizona's immigration law. Although 90,000 votes does not seem like a lot of people removed from the rolls, the purge was targeted on minority voters who lean heavily democratic. This is then amplified by geographic restriction of the voter purge to large cities, thus furthering the disproportion of the effect. 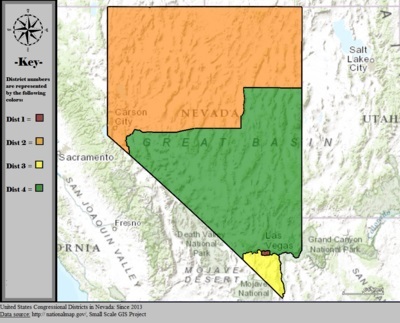 Finally the targeting lands mostly in Nevada's second and fourth Congressional districts, which are competitive and seem likely to be the margin of victory or defeat for the half-hearted and marginal so-called opposition party known as Democrats. The Democratic party has not yet filed suit or made noticeable noise to even rhetorically defend the voting rights of their own constituents against racist disenfranchisement. While the so-called blue wave, which I see in my toilet every time I refill the chlorine tablets, seems to want to propel the Democrats back into control of one half of one third of the federal government, it is doing so on a surf-board labeled pure hype. The party's failure to defend it's own voters in Nevada can cost them the Senate election there was well. Rather than holding seats or advancing, there will likely be an overall decline. The Democrats are no strangers to minority rule in Nevada, when they used delays to keep likely Sanders voters from entering the caucus in 2016 and then declared a winner using an applause meter that was controlled by Clinton campaign operatives. Nevada is a state that loves laying odds. Properly played blackjack will pay off five out of every twelve times. My grandfather taught me a system as a boy so I know this well. In Nevada, I stand a better chance at the tables than the voting booth of getting a desired result. Further, the blackjack tables are well regulated and meticulously watched to keep guys like me who learned something from Grandpa from gaming the system by a few percentage points. It is obvious that the voter rolls do not have the protection of a nickle slot machine in a gas station in Reno or Vegas.